Coat of arms of the Mickey Mouse League, the alliance that is made for you and me. The Mickey Mouse League (sometimes unofficially referred to as the Mickey Mouse Club or the Empire of the Mouse) is an alliance of countries and principalities contained on three different continents organized in a similar fashion to the now defunct Hanseatic League. Much as the Hanseatic League maintained a trade monopoly over most of northern Europe and the Baltic during the Middle Ages, the Mickey Mouse Club maintains an entertainment monopoly over all of planet Earth in our day. The early history of the Mickey Mouse League is closely tied to that of the Disneyland Confederation. In the late 1800s, after the United States annexed the area that would become present-day California, many members of the Disneyland nations were displaced from the Disneyland territories. Trying to escape poverty and starvation, refugees from the Disneyland territories eventually established communities in Florida, Europe, and Asia. A century later, the Treaty of Corporation addressed the most egregious grievances that the Disneyland confederation had with the United States. It formalized American recognition of the Disneyland Confederation and recognized territorial claims of the member nations. Independence however failed to resolve the numerous economic, security, and social problems of Disneyland. Decades of dictatorial rule soon followed independence. However, in 1970, a peaceful democratic revolution overthrew the dictatorship and established democratic institutions such as the Disneyland Great Council. The Great Council of Disneyland searched for ways to promote economic development within the confederation’s member nations. Unfortunately, decades of neglect had left Disneyland with a largely uneducated workforce and few viable industries. In response, the Disneyland Great Council looked to the outside world. There, it found resources and opportunities in the expatriate Disneyland communities. In 1971, the Disneyland confederation and the Magic Kingdom, an expatriate Disneyland community located in Florida, signed the Treaty of Orlando, hence forming the Mickey Mouse League. In the next few decades, other states and cities would join the organization. The alliance was named after Disneyland’s Minister of Foreign Affairs, Mickey Mouse, Jr., son of Mickey Mouse the Great. In 1982, Epcot joined the Mickey Mouse League. 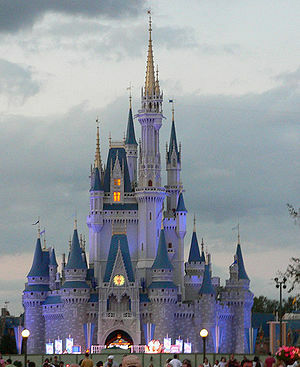 This marked the first time that a country that was not part of the Disneyland diaspora had been part of the alliance. The early 1980s was a time when the power and prestige of the alliance began to expand dramatically. Epcot became the diplomatic center of the alliance, with many nations choosing to build embassies in an area that came to be known as the World Showcase. Japanese print depicting Matthew Perry’s fleet of ships. This alliance’s power of this time perhaps was best displayed when the Mickey Mouse League sent Commodore Matthew Perry to open trade with Japan. Trade with Japan had been sporadic. 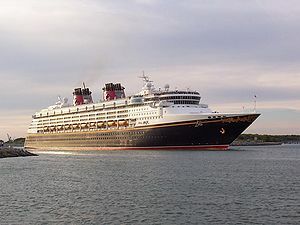 Seeing that trade with Japan could expand the entertainment and commercial interests of the alliance, in 1983 the Mickey Mouse League Governing Council sent Perry to Japan with four black steam frigates: the Mississippi, Plymouth, Saratoga, and Susquehanna. Threatening force, Perry compelled the Japanese government to sign the Convention of Urayasu. The Japanese leadership agreed to accommodate trade of Disney movies, television shows, and merchandise. In addition, the Mickey Mouse League gained concessions to territory in Chiba. On this territory, the league constructed a new city, modeled after the Disneyland Confederation. This new city, Tokyo Disneyland, became the first Asian member of the Mickey Mouse Club. In 1987, the Mickey Mouse Club adopted a common currency to further economic integration. By the late 1980s, the Mickey Mouse League had built a world-wide entertainment monopoly. However, other world powers, such as Sony Empire, were beginning to challenge this monopoly. In response to these emerging threats to its hegemony, the Mickey Mouse League began a program of tighter economic and political integration among its members. In 1987, the members of the alliance signed the Main Street Treaty, creating a common currency, the Disney Dollar. 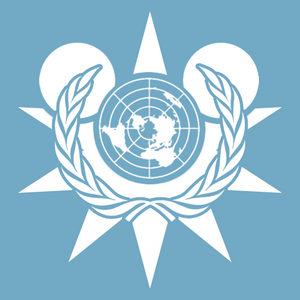 Other treaties in the 1990s furthered political integration, strengthening the power of the Governing Council and creating an elected assembly. During this time of increasing integration, the Mickey Mouse League continued to expand. When Great Britain’s lease on the territory of Hong Kong expired in 1997, the alliance saw an opportunity to increase its entertainment and economic power. The Mickey Mouse League negotiated a territorial concession from the Chinese government. On this territory, the alliance built a new city, Hong Kong Disneyland. The construction of this new city furthered the consolidation of power of the Mickey Mouse League in Asia. The Magic on its way to the Castaway Cay military base. This Mickey Mouse League naval cruiser sports a sophisticated array of missiles and weapons. The 1990s also saw the alliance grow in military power. Castaway Cay, which had been the territory of the pirates of the Caribbean before the pirates were absorbed into the Disneyland Confederation, became home to a new naval base. Two naval cruisers, the Wonder and the Magic, were commissioned into the Mickey Mouse naval fleet. Funding for military imagineering increased dramatically in this period, as the league increased the sophistication of its rockets and its submarine fleet. Though political and economic integration has increased in recent years, each of the states in the Mickey Mouse League possesses a high degree of autonomy. Members of the bureaucracy are appointed on a rotating basis by each of the members of the alliance. The Governing Council makes executive decisions from the league’s headquarters in the Magic Kingdom. Other bureaucracies monitor food safety, trade harmonization, and human rights within the league. The league maintains an entertainment monopoly not only due to the strategic locations of its members, but also through agreements and treaties with other entertainment organizations. The most important of these organizations is ABC, a crime syndicate which pays an annual tribute to the league. The Miramax Empire is a subsidiary state, control of which helps the Mickey Mouse Club maintain its power. Administration of these subsidiary states and organizations is also organized through the Florida bureaucracy and comprises a substantial part of league operations. Members of the Mickey Mouse League are located on three different continents. A banknote worth five Disney Dollars. This bank note features Admiral Donald Duck, a military leader who helped usher democratization within the Disneyland Confederation. The signature of former Federal Reserve Chairman Scrooge McDuck is visible on the left. The Disney Dollar is the common currency of the Mickey Mouse League. Established in 1987 by the Main Street Treaty, the Disney Dollar is used by all members of the Mickey Mouse Club except for the states and principalities within the France circle, which chose to remain outside the Disney Dollar zone.